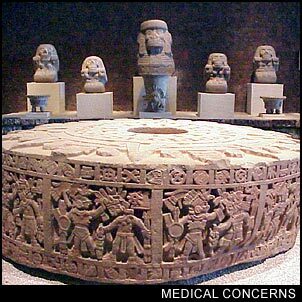 Concerns about Medical treatment in Mexico are very real and can be a bit of a double edged sword. On the one hand, seeing a doctor and getting a prescription for needed medication in Mexico are amazingly inexpensive. While on the other hand, catastrophic care is not going to be automatically covered as it might be in your country of residence. It is advisable for any trip to Mexico to include a travelers insurance plan which will cover any possibility including immediate removal of your spleen or the need to medivac you to the US. The bottom line in Mexico is the bottom line. If you think you have problems with health care at home where you are insured, you have real problems in a country that won't do a procedure they aren't sure they will be paid for. So pony up the money to ensure that you and your family are covered by a reputable travelers insurance company which covers any medical expenses you may incur while in Mexico. Many major tourist destinations actually have first rate state of the art health care facilities available. . . and most of these are privately owned, cater to the tourists, and charge you at least as much as they would in 1st world countries (some times more because you need it and they can). I'll say it again . . . get travelers insurance that covers medical expenses including life flight. If you are on any sort of medication be sure to bring enough for your stay and write down the generic name of the drug in case you loose it in your luggage and need to find a Mexican pharmaceutical equivalent. Most pharmacies in Mexico will sell things like antibiotics (and many other meds) over the counter (without prescription) . . . but you will need to know the generic name for them to look it up. This being said, don't even think of bringing any medication purchased in Mexico over the US border unless you have a prescription from your US physician.